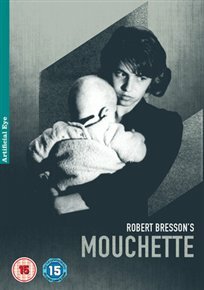 Robert Bresson’s – MOUCHETTE – out on dvd and Blu Ray. Bresson’s film about an adolescent heroine estranged from her stark rural community. Robert Bresson’s sombre drama is an unsentimental take on a teenager’s tragic home life. 14-year-old Mouchette (Nadine Nortier) is an inarticulate peasant girl, whose mother is terminally ill, and whose father, an alcoholic, abuses her. Unloved and seeing no hope for the future, Mouchette contemplates taking her own life.